1 Add the diced peaches to a pan with the Amaretto and sugar and simmer over a moderate heat for 5-8 minutes. Set to one side and leave to cool. 2 Mix together the mascarpone and icing sugar, to taste, until smooth. Fold in the whipped cream. 3 Spread 1 tbsp of the mascarpone cream into each glass, spoon over half of the compote, then half of the remaining cream mixture. Top with the remaining compote and finish by dolloping on the rest of the mascarpone cream. 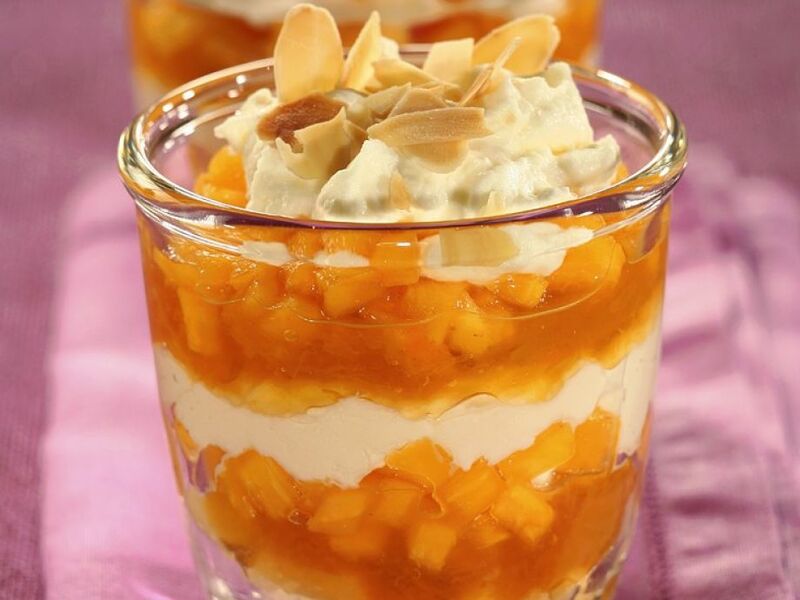 4 Garnish with almonds and serve.